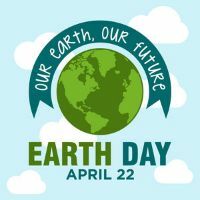 April 22nd is Earth Day and our Social Justice Team will be collecting recycling from those members who do not have recycling in their area. If you are one of those people, bring in at least 22 pieces in the month of April for … read more. Last Name A-F 1st … read more. UUFEC Board of Trustees will be meeting Saturday, April 13 at 9:00 am. On Wed, Oct 10th, Cat 4 hurricane Michael made a nearly direct hit on our UU neighbors to the east, the UU Fellowship of Bay County (UUFBC). While the basic necessities are functioning at UUFBC, large needs still persist including a new roof, repair … read more. There will be a memorial service for honoring the life of Dr. Jack A. Tweedle (1930-2018) at 2 PM on Sunday, April 7, 2019 at UUFEC. This past Saturday, UUFEC was honored with a ‘New Minister’s Start-Up Workshop’facilitated by Reverend Kenn Hurto, a long time UU minister and former lead of theUUA’s Southern Region. The intention of this workshop was to optimize our working relationship with our new minister, Doak … read more. Mark you calendar: Quarterly UU Newcomers sessions in March! Interested in joining UUFEC? Or maybe just interested in learning more about us and UUism? Are you a UUFEC long-timer who wants to meet some newer folks? All are welcome to join the two “UU Newcomers” sessions to be held “2nd hour” March 17 & … read more. Opportunity Place, Inc. provides temporary emergency shelter and assistance for women and families who are homeless or at considerable risk of becoming homeless. Each year the UUFEC raises money to provide the residents a meal once a month. We are looking for 12 people to … read more. The Reverend Kenneth Gordon Hurto, former Unitarian Universalist Association Southern Region field staff team Lead, will be with us on Saturday, March 2nd, 8:30am — 12:30pm. He will meet separately with our Minister and the Board that afternoon. … read more. Interested in starting a monthly Women’s group to meet at the church. This group would enable us to get to know each other better. Day of the month or time will depend on those interested. If you are interested, please contact Peggy Mansfield at … read more.